There is no doubt that it has been a roller coaster season for Jim Boeheim and the Syracuse Orange. The Orange (16-7, 7-3) will face off against the Boston College Eagles (11-10, 2-7) tomorrow at the Carrier Dome. The Orange defeated the Eagles on the road a little over a week ago with a score of 77-71. The Orange will look to repeat that outing in front of the home crowd. Last time out, Syracuse took a hard loss to #22 Florida State by a score of 80-62. 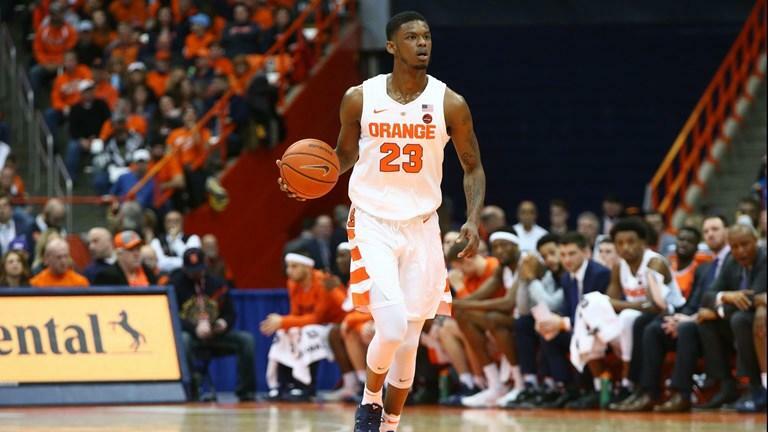 What could have been an important conference win for the Orange turned into a crushing defeat. Syracuse won two games prior to that but the Seminoles were able to end their short run. Frank Howard ended that game with no points in 14 minutes of play. Howard also missed all three of his free throws, a weakness the Orange have been experiencing as of late. The Orange only shot 63% from the free throw line, a trend Coach Boeheim will want to clean up within these next two games against Boston College and NC State. The defense also failed to transition. The Seminoles shot 50% beyond the arc against the 2-3 zone. Meanwhile, the Eagles have lost three straight including a 25-points loss last time out against Duke. Zion had a season-high 17 rebounds in that game against the Eagles, including four of the five starters with points in the double digits. The Eagles will have to clean up their act on defense when they come to the Loud House. Syracuse was most recently placed as a 9 seed in CBS’ bracketology prediction. If the Orange want to avoid being a bubble team these next two games will be crucial against weaker conference opponents, Boston College and NC State.